14" long white powder coated metal knife bracket with lip for grid wall and slat grid. For use with glass, wood or Duron shelves. 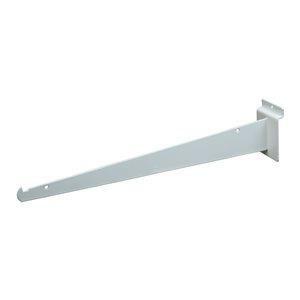 See shelving in " Wall Systems Category" to use with this bracket. 25 per box.